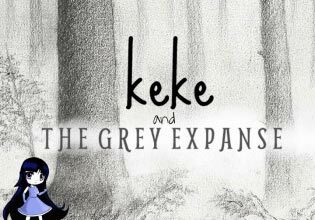 Keke has found herself in a colorless land. In order to restore it, she must locate and secure all of the color crystals. But the Grey Expanse is a dangerous place! Help Keke avoid creepy crawling caterpillars, navigate treacherous terrain, and collect all of the crystals in this wonderland platformer adventure.